I don't have specific dates! Blue Horizon...... Where the Sea meets the Sky! Only a short drive from beautiful sandy beaches and water sports facilities, this modern, two storey villa is set in an elevated position surrounded by sun terraces and lawns. 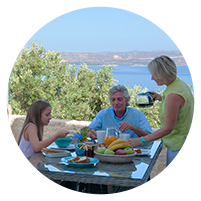 The villa enjoys spectacular views across vineyards and olive trees to the mountains and sea beyond. 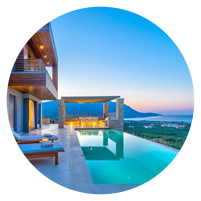 We are a group of local travel experts who love Crete and specialize in Crete holiday villa rentals. 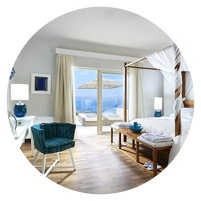 Our goal is to surpass all your holiday expectations, through our high quality services and make your family holidays in Crete, really unique.